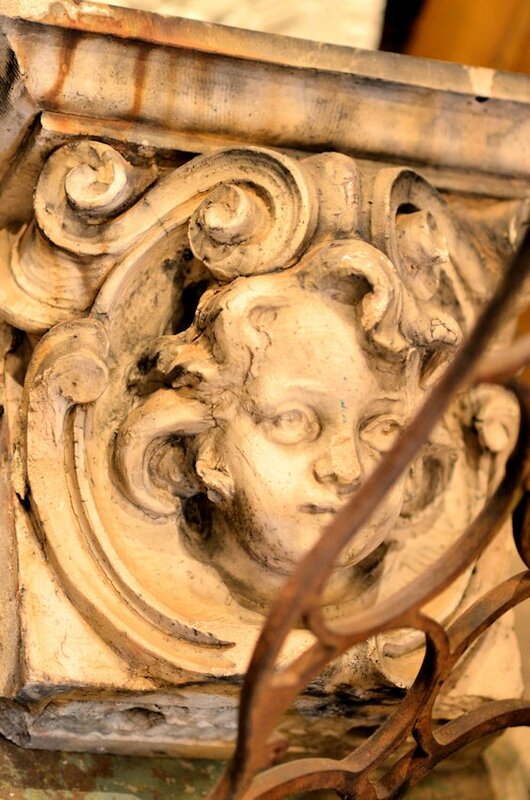 Rescue, restore and protect architectural elements of historical significance. April 27, 2011… a day long to be remembered and often discussed by those of us who bore witness to the utter destruction that nature leashed upon us. We had several days warning of the impending storms. The news media had tagged the weather forecast for that day as a set up for ‘the perfect storm’. No one in our town was immune. By day’s end, if you had not suffered some form of property damage, you knew someone who had. 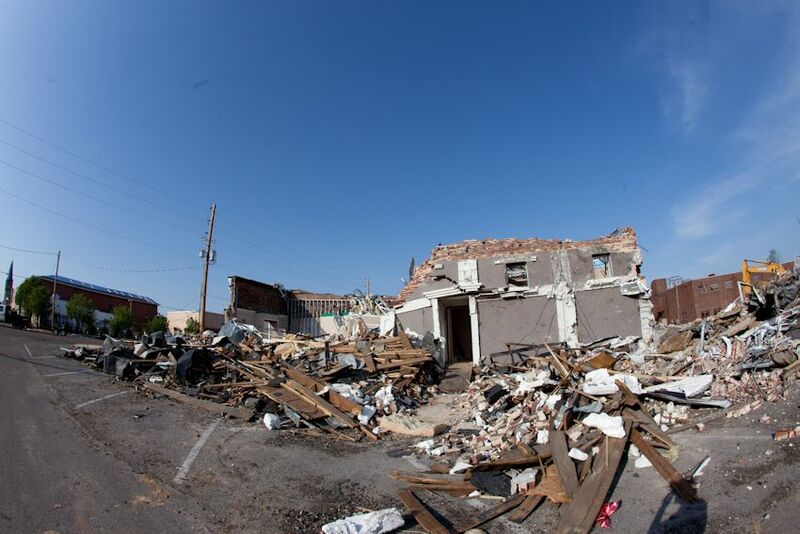 Hundreds of businesses across the city alone had been damaged, dozens within a four block radius destroyed. A greater number of homes, many over 100 years old, heavily damaged or completely obliterated. 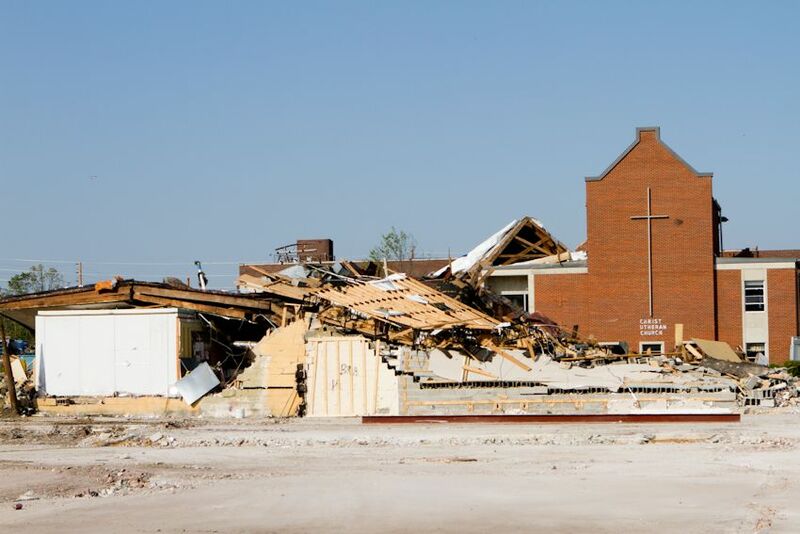 No favoritism was shown by the twisters that day as churches were reduced to rubble. Our streets were lined with ancient hardwoods that once faithfully took on the colors of each passing season creating a picturesque scene likened to a Thomas Kinkade painting. Folks across our city have mourned the passing of so many of our beautiful trees as our landscape was forever changed by an F4 tornado. Southern Accents – damage following the tornado and weeks later. 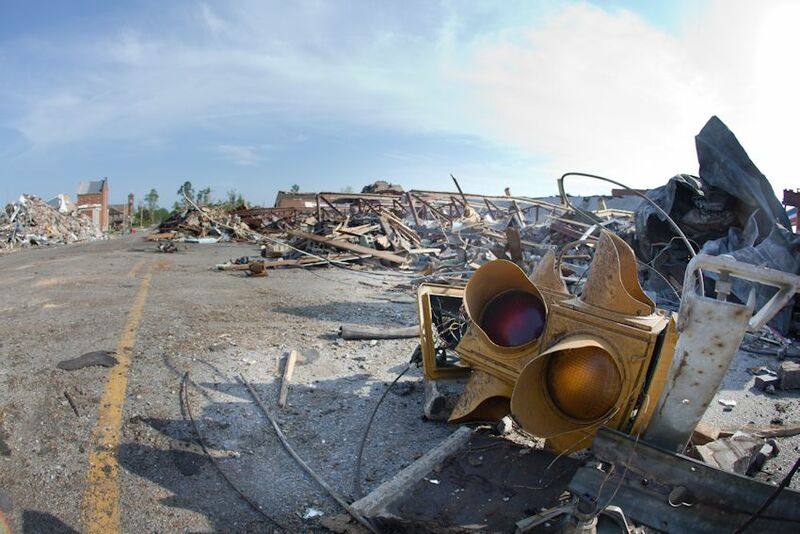 Downtown Cullman took a direct hit that day during a second wave of tornadic activity. The destruction was like nothing any of us had ever seen before. A war zone was the only proper description for the piles of rubble, scattered debris and unrecognizable terrain in the downtown area. As soon as the storms passed, the streets were filled with people. Friends and strangers alike immediately took action checking on the health and safety of everyone that was passing. The buzz of chainsaws filled the air as the many felled trees were quickly cut away in an attempt to clear a path for emergency and rescue workers. Strangers showed up to help business owners gather scattered goods. Storm warnings continued in to the night as word began to spread of the unimaginable destruction that was being levied across our state. The days and weeks to follow showed proof of what we had known all along; our community spirit came together like never before. Our resolve was tested and we passed with flying colors. Those who managed to escape the storms unscathed worked side by side with those who had lost everything. It has been a long journey, but two years later, our city and the people who call it home is better for having weathered the storms. Although the landscape is forever changed, the downtown is coming back stronger than ever. 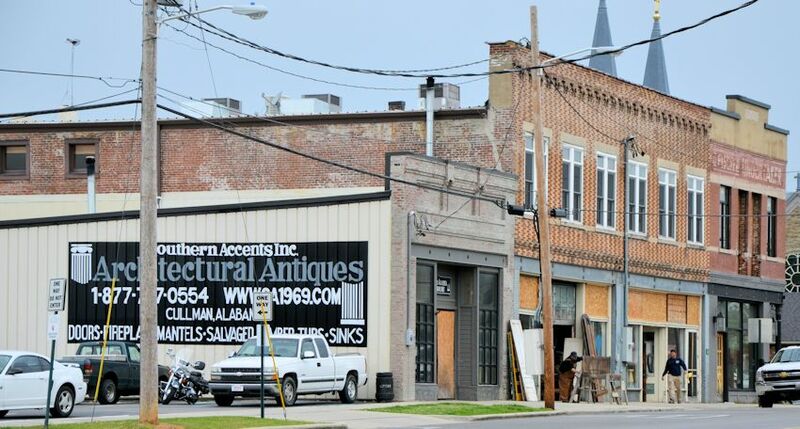 After the storms, the City Council established design guidelines to help preserve the historical aesthetics of downtown Cullman as well as offered incentives to business owners to encourage revitalization. The revitalization effort, which was started well in advance of this fateful day, was actually jump started by the storms. 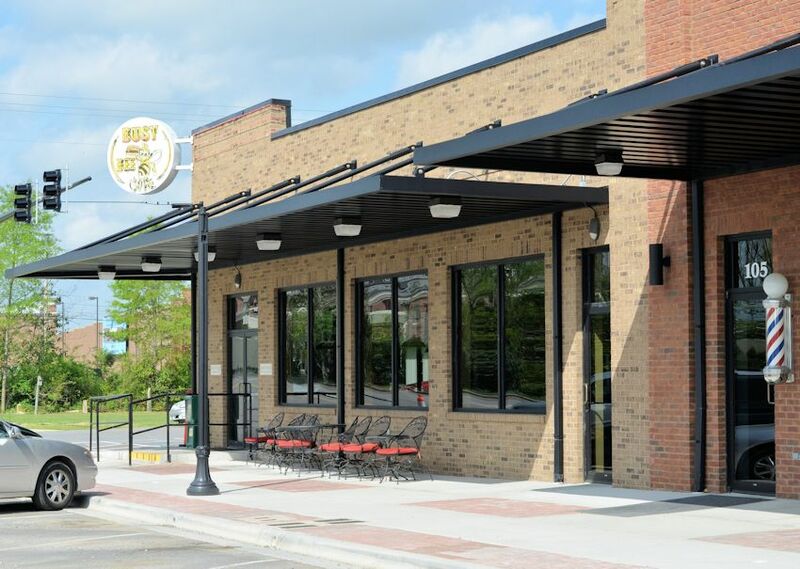 The All Steak opened the doors of it’s brand new restaurant in March of 2013. The restaurant was built in the former location of the Little Bit shop. Many businesses that were destroyed, like the Busy Bee Café, have rebuilt and reopened. 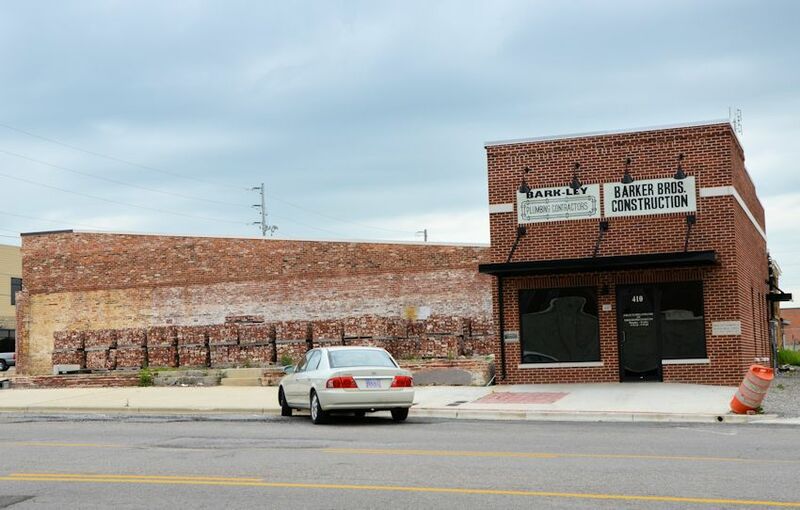 Some, for various reasons, chose not to rebuild, giving way to new businesses in the downtown area. The Little Bit store, which suffered a complete loss, was one business that chose not to rebuild. Just last month, the All Steak restaurant opened it’s doors in Little Bit’s old location. 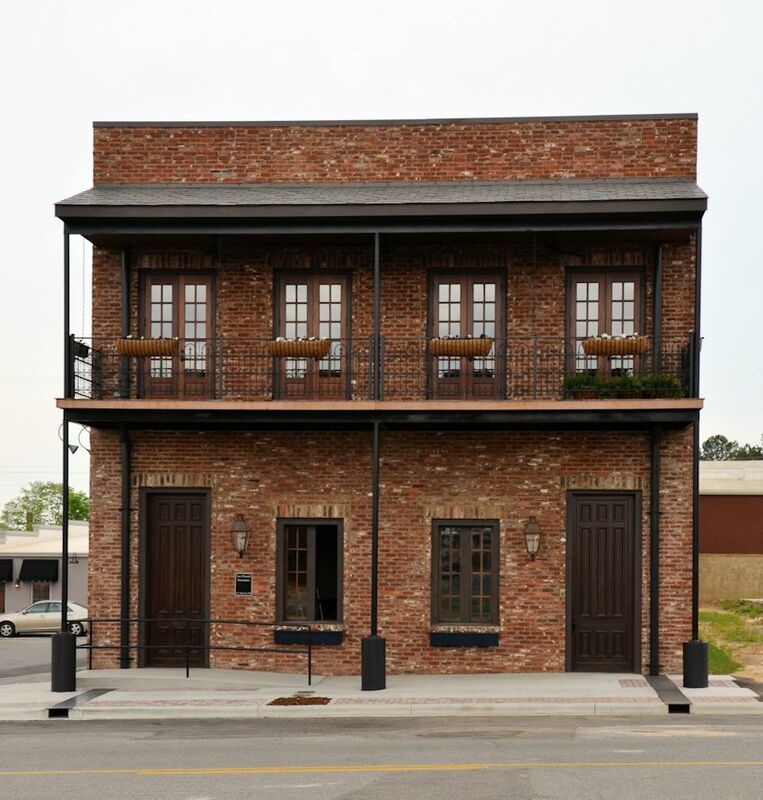 The All Steak incorporated brick and other materials salvaged after the storm into it’s beautiful new building. Eastside Baptist and Christ Luthern Churches both suffered total losses on April 27th. 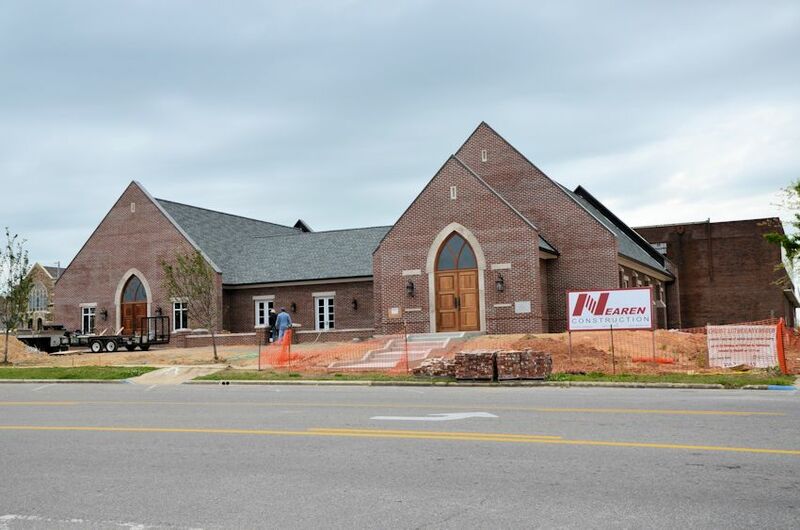 Their rebuilding process is quickly coming to a close as both facilities are nearing completion and will be reopening their doors in the coming months. 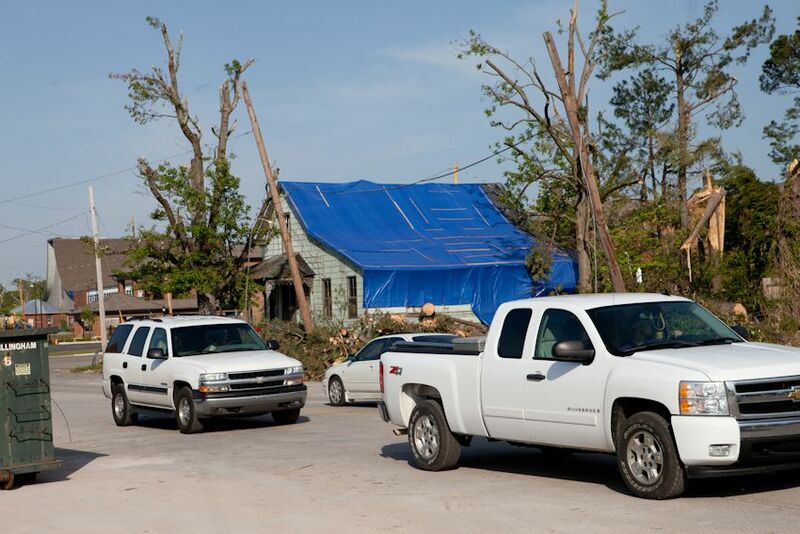 Although boarded up windows and blue tarps can still be spotted in the area, recovery efforts are around 95% complete. As the two year anniversary draws near, still vivid memories will prompt stories that will once again be shared, stories of courage, kindness, sacrifice and perseverance. The face of our town looks different, most would say even better. As recovery efforts continue we are reminded that it is the people of Cullman, not the buildings, that make this a very unique and special place. We would not want to be anywhere else! 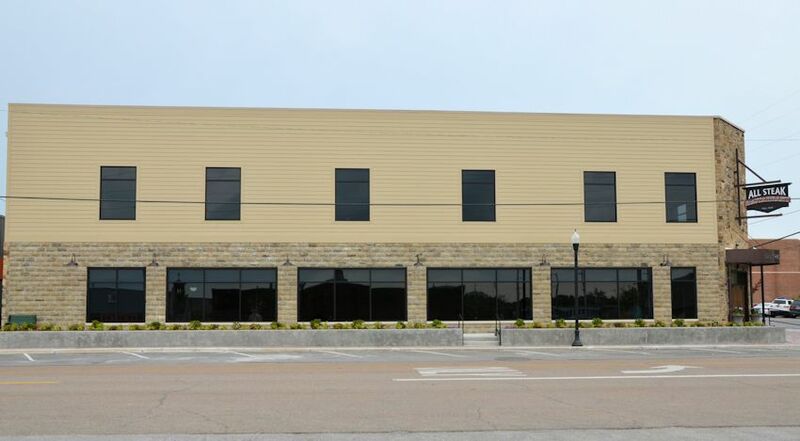 Lee Powell Insurance Agency – 2 years after the storm. Barkley Plumbing was one of the businesses on this block that was obliterated. The Busy Bee Cafe reopened it’s doors on the one year anniversary of the tornado that destroyed the restaurant. “The Green House” was repaired and became the new home to The Candle Garden a year after the storms. 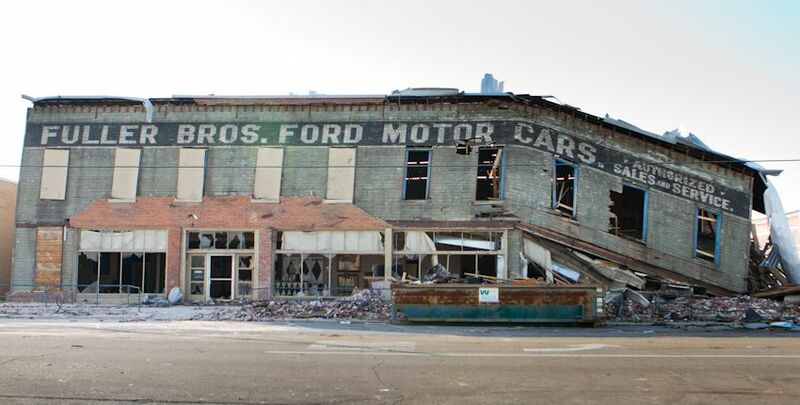 Eerie reminders remain 2 years later – buildings were marked as rescue workers searched for survivors. No lives were lost in downtown Cullman that day. Although blue tarps and boarded windows can still be found downtown, recovery efforts are 95% complete! 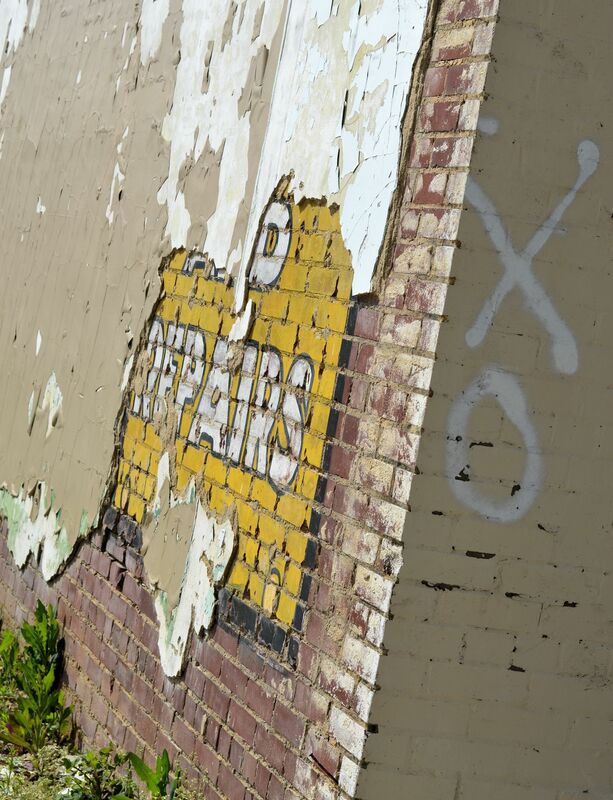 Edited by: Garlan Gudger, Jr.
Mark your calendars… Southern Accents is having a photo contest on Saturday, April 27th! We get constant requests from photographers asking to use our showroom, outdoor lots and alley for location shoots. One of the things we love most about photographers is that each one sees the treasures in our showroom from a different perspective. The same scene shot numerous times looks different depending on the person behind the lens. With our ever changing inventory, the landscape of our showroom is constantly changing, creating a continuous need for new photos. They say a picture paints a thousand words… we use thousands of pictures to promote our business online as well as in print. The contest will take place beginning at 9:00 am until 2:00 pm on Saturday, April 27th. You do not have to be a professional photographer to enter. Amateurs, bloggers, photo hobbyists, shutterbug wannabe’s are welcome. The contest will be open to the first 30 people to show up that Saturday, digital camera in hand, ready to register for the event. Registration will begin promptly at 9:00 am. Each participant will be allowed to submit up to 5 digital photos via e-mail. All submissions must be sent to saccents1969@gmail.com by 5:00 pm on Sunday, April 28th. One winning photo will be selected by a panel of judges. The winner will receive a $250 cash prize! The winning photo will be announced by Friday, May 3rd. 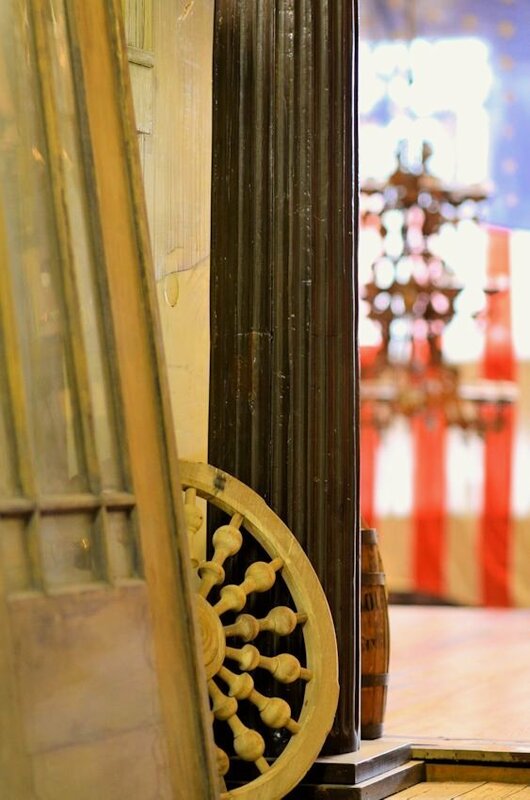 The purpose of the contest is to open up our showroom, warehouses, and outdoor lots to those interested in photographing our inventory of beautiful architectural antiques. In return, we get to use the photo submissions to help promote our business. Each participant will be asked to sign a copyright release form upon registration. Please CLICK HERE to read the contest rules and fine print as well as print off a copy of the release form. Please address any questions you may have to: lisa@sa1969.com. We are going to be taking a few pictures of our own that day! We want to get snap shots of our customers and find out where you are from! We are constantly amazed at how far some of our customers travel just to visit our showroom! We will be taking pictures and documenting travel distances for an upcoming online feature. We want to make this a fun filled day for everyone involved so… we will have the Big Green Egg going in the alley! We’ll be giving away grilled burgers, dogs, and ice cold drinks around lunch time!! Plan now to join us for this exciting event! Get your cameras ready, set, shoot! 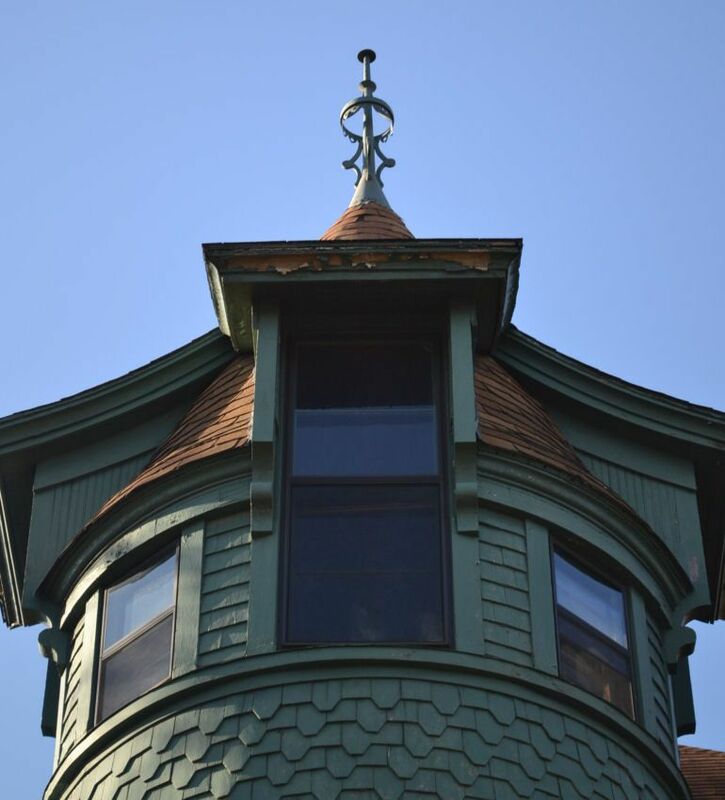 One of the most striking architectural features on many Victorian style homes is the towering spire. These tall, metal structures reaching towards the sky are hard to ignore. Typically affixed to a turret, at first glance one would think they are a type of lightening rod, but their purpose is far from that of attracting bolts of electricity. Actually, their presence is purely decorative and symbolic. Mostly seen on churches, they portray a hopeful, celestial gesture towards heaven. Affixed to the turret on a home, they are viewed as a symbol of wealth and prestige. Spires are, by some accounts, the defining image of Victorian homes. Their ostentatious display screams “look at me” to many a passer by. We took notice, and with an err of determination, set forth on a mission to save one spire! One of the houses that we recently salvaged in Little Rock, Arkansas was a majestic 1890 Queen Anne style Victorian that sat downtown just off the river. As we began the deconstruction process, the galvanized tin spire was impossible to ignore. It was an architectural element of the house that we refused to leave behind for the bulldozers. We discovered that the turret had been struck by lightning in 1976. 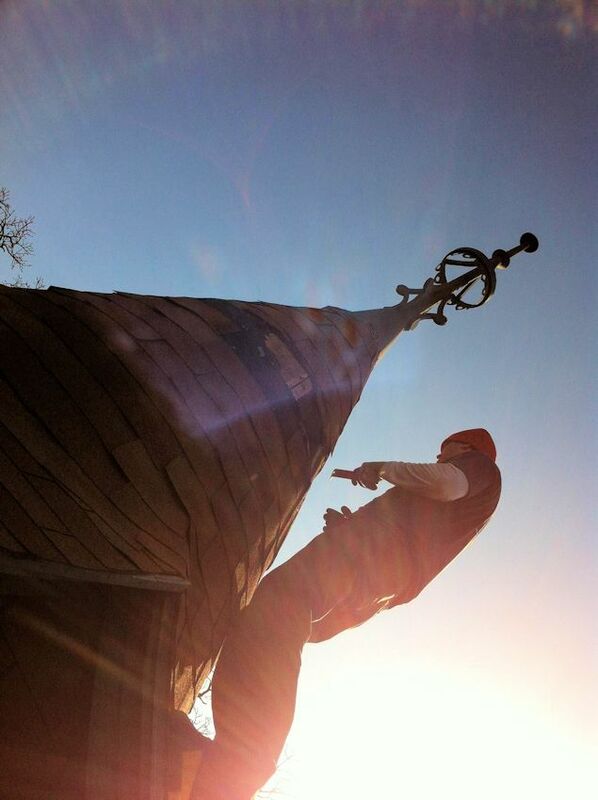 During the repair of the turret, this spire was placed in the attic, where it remained for the next 20 years. In 1996 Little Rock saw it returned to it’s rightful place by home owner, Mr. Hammond. The spire, which is in immaculate condition, remained there until it was successfully removed during our recent salvage operation. Removing the spire was an interesting feat, to say the least. It involved a lift and a harrowing episode with a chain saw 50 feet high in the air. We were fortunate to have videographer Greg Spradlin from Camp Friday Films in Little Rock along for the ride. Greg put together an awesome video, documenting the removal of this incredible artifact along with it’s journey from Arkansas to Alabama. You can watch the VIDEO by Clicking Here. Upon it’s arrival at Southern Accents, the top of the turret, which was cut and removed with the spire in tact, was stripped of all the old shingles. 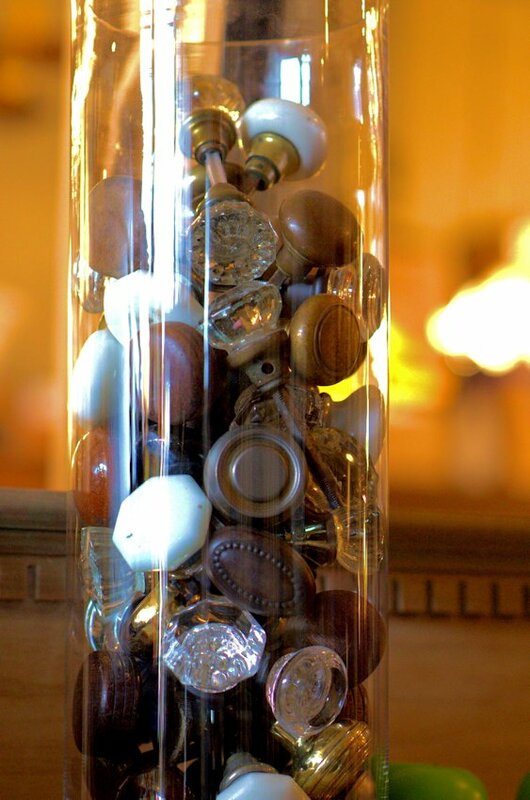 The weathered wood provides the perfect backdrop for this treasure. Although this is one of those rare finds that we would love to enjoy for a while, the spire is currently available for sale and can be viewed online by Clicking Here. If you are within driving distance, the spire is currently on display in our showroom. 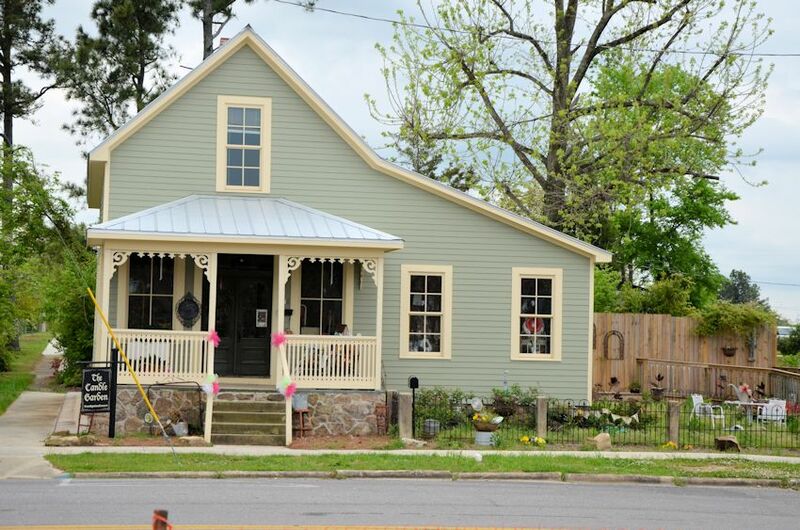 We’re sure it will be a traffic stopper just as it was as it sat atop the majestic Victorian house on Cantrell Road. Did you know that remodeling your bathroom or kitchen provides more return on your investment than any other interior upgrade? 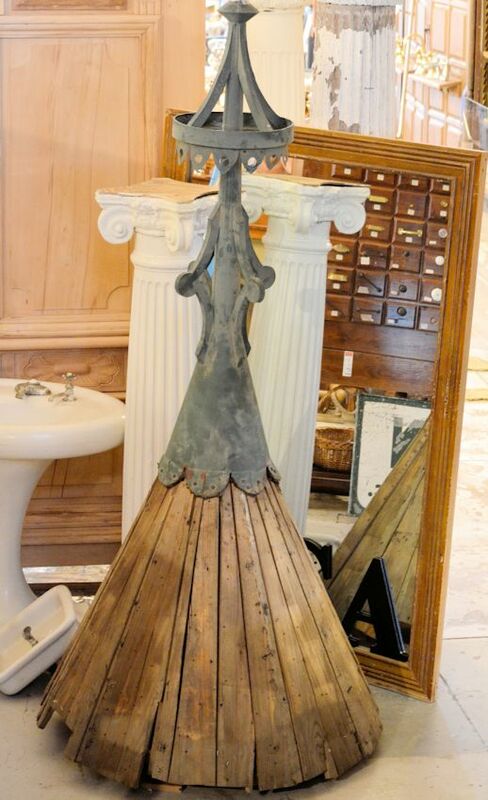 If you are considering remodeling your bathroom or are involved in a new building project, have you considered antique or salvaged bath fixtures? If not, you should! If you have perused any of the home decor magazines recently, or spent any time on Pinterest, you have surely noticed a trend towards vintage bath fixtures. Pedestal sinks and large claw-foot tubs can easily give any bathroom an aura of opulence. We get a lot of customer questions regarding reproduction versus antique bath fixtures. What you may not realize is that you can purchase a 100 year old, cast iron, claw foot tub and have it refinished for about half the price of what you would pay for a new one. 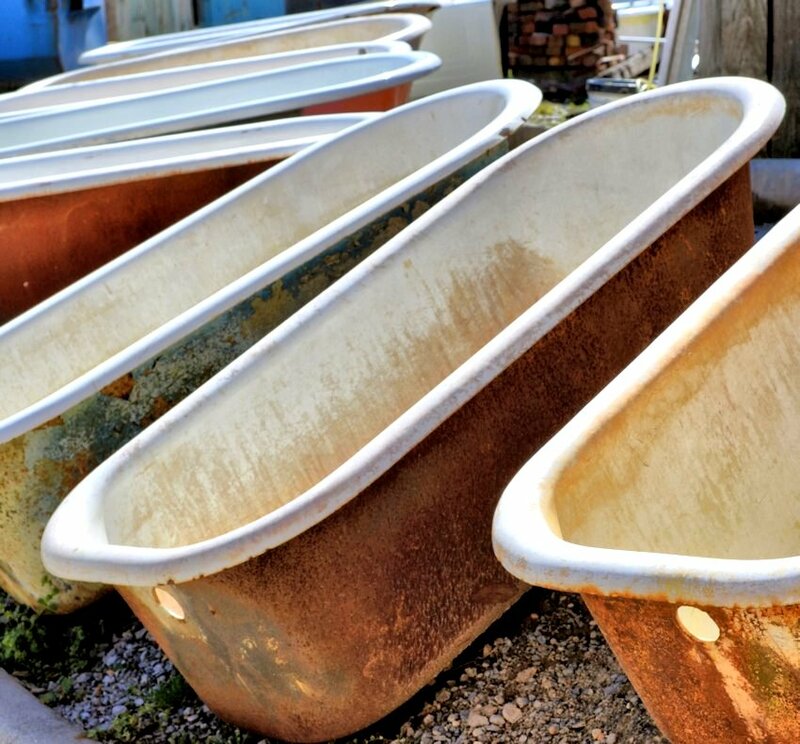 Don’t let those rusty looking old tubs turn you away! The rusty tubs shown above can easily be turned into the elegant tub shown to the right. We work with some of the best refinishers in the southeast. Rust spots, scratches and even some breaks can be repaired. These tubs can also be painted on the outside to match any home decor. There are two ways to plumb out antique tubs and sinks. The first is to retro fit them using antique faucets and plumbing. Antique plumbing may not match today’s drains, overflows and pipes, resulting in more labor costs and plumbing problems so be aware of this risk. Antique plumbing also does not come with any type of warranty that will cover such issues should they arise. The second option is to buy reproduction plumbing that will offer you the antique look with modern conveniences and a warranty. Please be aware that most modern plumbing will not fit the antique fixtures. 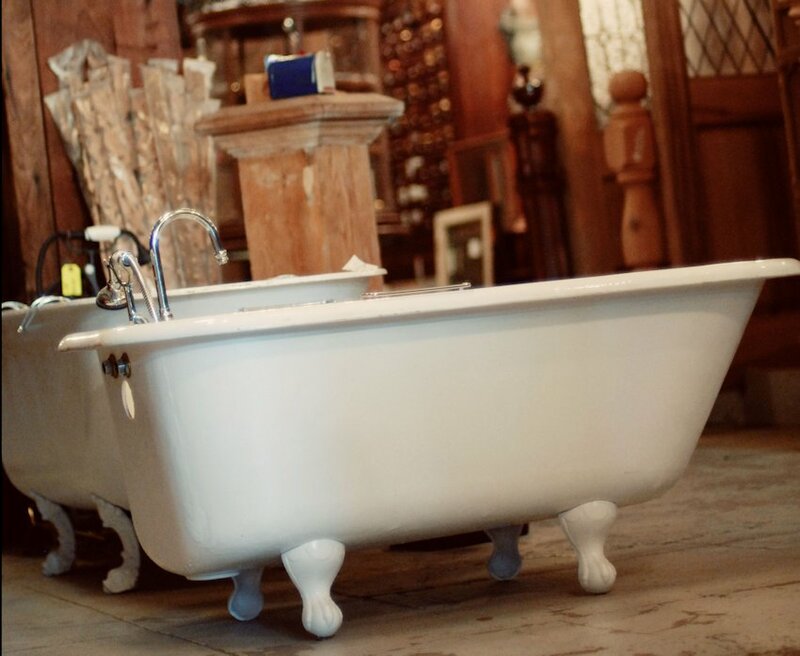 Therefore, you can not purchase an antique tub and then run into the nearest hardware store and pick up a faucet or shower head that will fit. 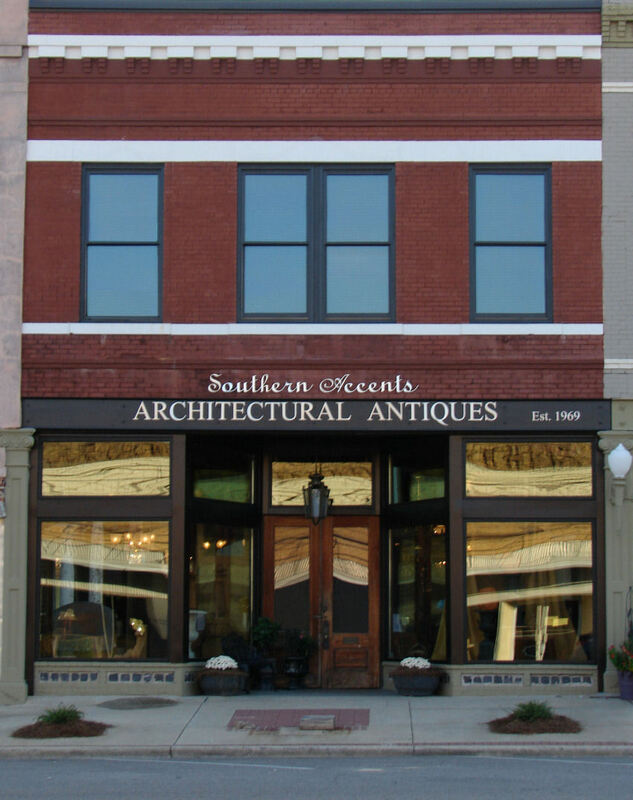 Southern Accents has access to a wide variety of brand new reproduction plumbing that is specifically designed to fit the antique bath fixtures. We can special order hardware that will give you the exact look you desire with choices available in a variety of styles and finishes. 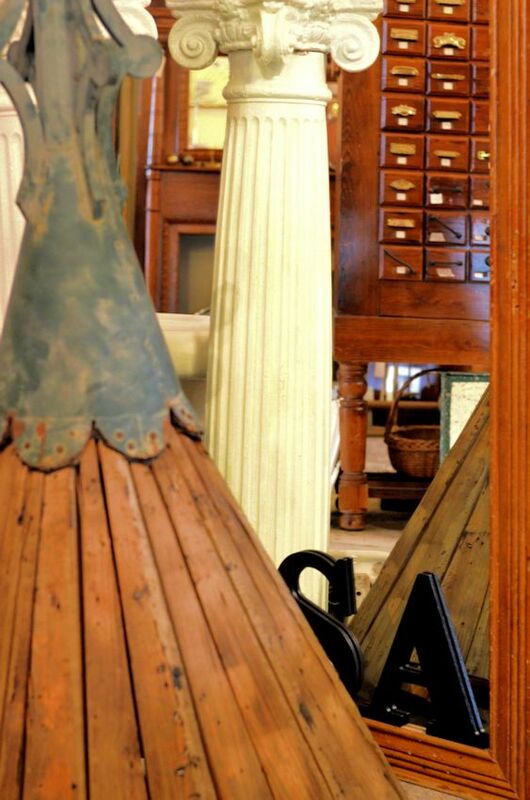 Come visit our showroom and outdoor lots to view our vast collection of antique bath fixtures. Let us walk you through the refinishing process and help you select new faucets and plumbing that will add the perfect finishing touch to your antique sink or tub. We are here Tuesday – Friday from 9:00 am to 5:00 pm and Saturday from 10:00 to 4:00.